Athens, Ga. – The University of Georgia’s Health Center was awarded accreditation for all services by the Joint Commission. The recognition is the second consecutive time the University Health Center received a flawless report of findings. The three-day unannounced survey on March 21-23 was conducted by the Joint Commission. The review found the health center in full compliance. In addition to achieving Ambulatory Health Care reaccreditation, the health center received Primary Care Medical Home accreditation. Accreditation as a primary care medical home affirms the health center’s compliance with additional standards regarding care coordination, patient centeredness, access and continuity. From a patient perspective, PCMH accreditation signifies the health center is recognized by the Joint Commission as an advanced practice with comprehensive services and committed to partnering with patients to achieve the highest quality of care and services. The University Health Center voluntarily goes through the rigorous accreditation process to ensure that UGA students receive the highest quality health care. The Joint Commission surveyors conduct an unannounced visit every 18-39 months and the health center must complete a self-review annually. Only 17 out of nearly 1,800 college health centers nationwide choose to go through the challenging Joint Commission accrediting process. 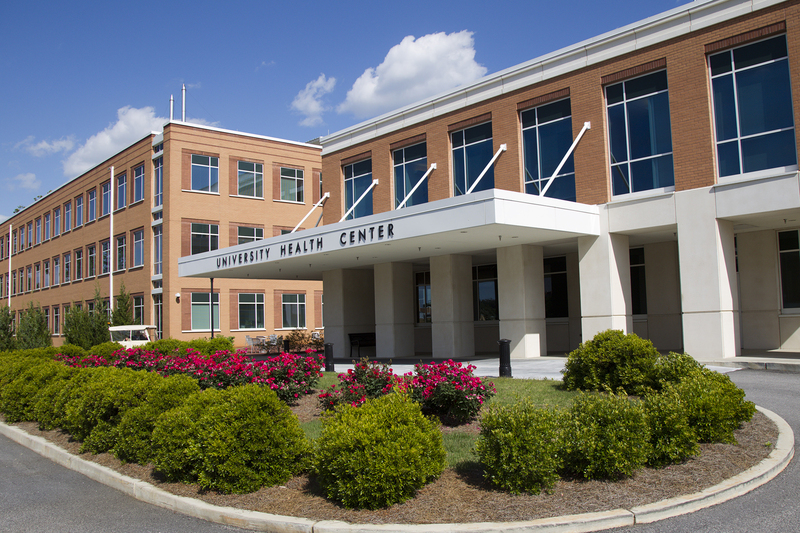 The University Health Center is the only college health center accredited by the Joint Commission in the state of Georgia, and has been fully accredited since 1989. The health center is a unit of UGA Student Affairs and is staffed by over 240 employees, including 22 physicians with board certification or board eligibility in internal medicine, family medicine, sports medicine, emergency medicine, psychiatry and gynecology. The health center features four primary care clinics and a variety of specialty care clinics including women’s health, sports medicine, allergy/travel medicine, dermatology, vision care, dental care and physical therapy. Supporting services include pharmacy, laboratory and radiology departments. Extensive Counseling and Psychiatric Services and Health Promotion departments complete the comprehensive health center, considered in the top tier in the country. The Division of Student Affairs comprises 19 campus departments that enhance the learning environment for students at the University of Georgia by stimulating the learning process, integrating the in-class and out-of-class experiences, promoting an environment conducive to growth and discovery and facilitating intellectual, spiritual, social, occupational, physical, cultural and emotional development. For more information, see studentaffairs.uga.edu.